“The products of scientific research affect us all. It is the responsibility of scientists to communicate their research in a meaningful and accurate way to the public-at-large. After all, it is the public who has paid for most scientific research. 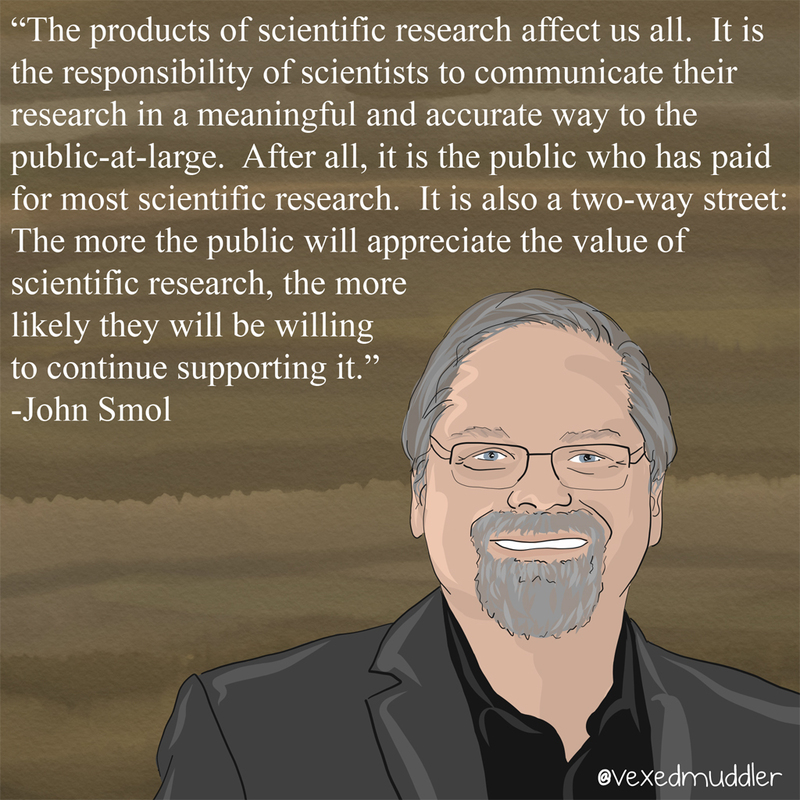 It is also a two-way street: The more the public will appreciate the value of scientific research, the more likely they will be willing to continue supporting it.” – John Smol, Canada Research Chair in environmental change. Originally posted on September 24, 2016.